In this newest installment in Chicago’s series of Jacques Derrida’s seminars, the renowned philosopher attempts one of his most ambitious goals: the first truly philosophical argument against the death penalty. While much has been written against the death penalty, Derrida contends that Western philosophy is massively, if not always overtly, complicit with a logic in which a sovereign state has the right to take a life. Haunted by this notion, he turns to the key places where such logic has been established—and to the place it has been most effectively challenged: literature. 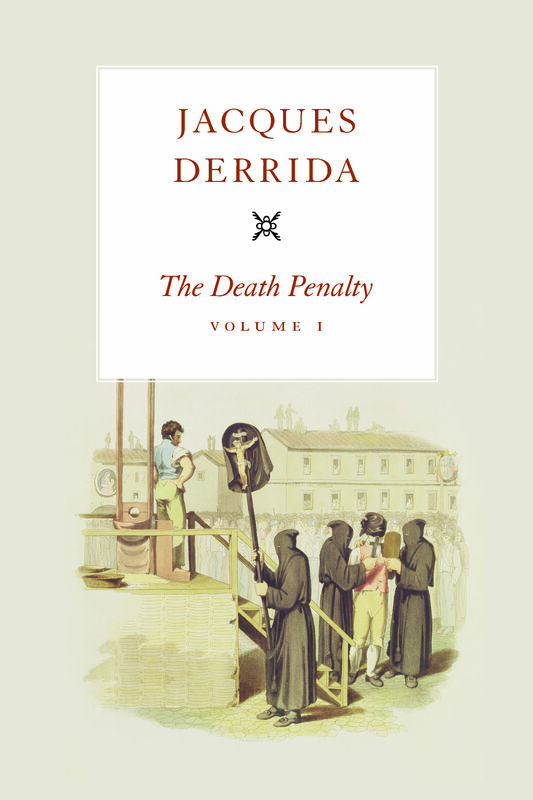 With his signature genius and patient yet dazzling readings of an impressive breadth of texts, Derrida examines everything from the Bible to Plato to Camus to Jean Genet, with special attention to Kant and post–World War II juridical texts, to draw the landscape of death penalty discourses. Keeping clearly in view the death rows and execution chambers of the United States, he shows how arguments surrounding cruel and unusual punishment depend on what he calls an “anesthesial logic,” which has also driven the development of death penalty technology from the French guillotine to lethal injection. Confronting a demand for philosophical rigor, he pursues provocative analyses of the shortcomings of abolitionist discourse. Above all, he argues that the death penalty and its attendant technologies are products of a desire to put an end to one of the most fundamental qualities of our finite existence: the radical uncertainty of when we will die. Arriving at a critical juncture in history—especially in the United States, one of the last Christian-inspired democracies to resist abolition—The Death Penalty is both a timely response to an important ethical debate and a timeless addition to Derrida’s esteemed body of work. "The translation of the seminars, appositely enough, is itself the product, we are informed, of the 'Derrida Seminars Translation project workshops,' and it is both elegant and, insofar as its subject’s allusive and associative style permits, remarkably unequivocal."